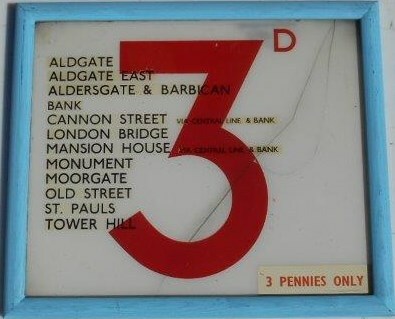 Lot 145 London Under Ground - Fare Sign "3d".Showing locations between ALDGATE - TOWER HILL. Mounted in a wooden surround. Good condition. Size 19" x 15".